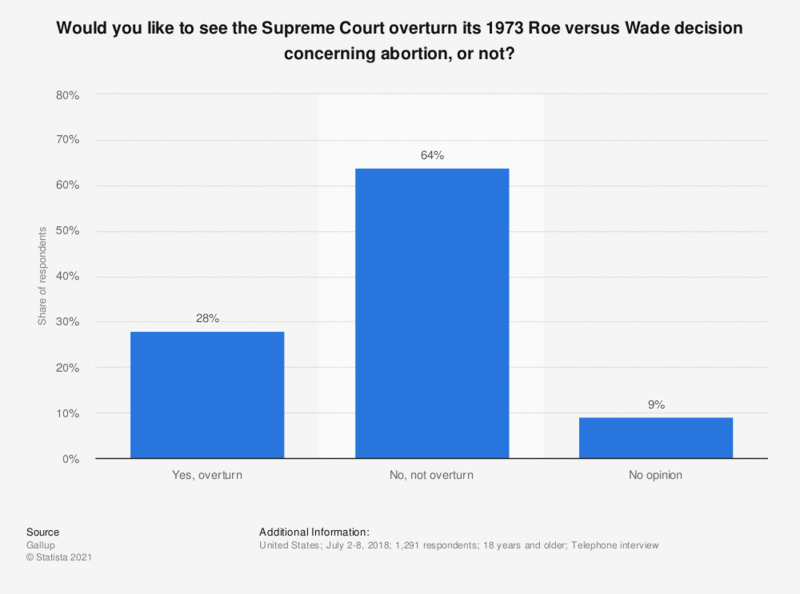 This statistic shows the results of a survey among adult Americans on the Roe v. Wade decision. The 1973 Roe v. Wade decision established a woman's constitutional right to an abortion, at least in the first three months of pregnancy. In 2018, 64 percent of the respondents wanted to keep the decision in place, while 28 percent wanted to see it overturned. The 1973 Roe versus Wade decision established a woman's constitutional right to an abortion, at least in the first three months of pregnancy. Will you vote Yes in favor of removing the 8th Amendment, or will you vote No to keep it? Abortion: Do you think most Americans are pro-life or pro-choice?